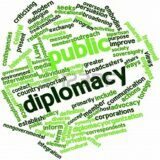 There may not be a single, clear-cut definition of public diplomacy; however, one could say that diplomacy is a political dance where two partners, or in this case countries, struggle to lead and sway the opinions of foreign publics. China may be perfecting the intricate footwork of this political dance better than other nations. With a diplomatic past shrouded in ineffectiveness and grandstanding, China now is emerging as a powerful presence and potential partner in global diplomatic relations, says Ambassador Charles W. Freeman, Jr. in remarks made recently to the American Academy of Diplomacy. Now with the world’s largest economy, China finally is becoming more active in global governance, Freeman says, but it still shows no desire to displace American leadership. Quite the contrary. China says it’s ready to follow our lead in global governance. This remarkable declaration by Beijing deserves to be tested. Here are four ways that China has been able to fuel positive public diplomacy. Despite their industrial and economic power, the Chinese primarily stay focused on their own country and domestic affairs. China has largely chosen to handle matters within their own country while increasingly participating in global peacekeeping efforts. Economic resurgence has given citizens of China a much higher standard of living than decades past. Although having more economic freedom, the Chinese remain true to their traditions and ideologies and most prefer not to be involved in foreign affairs. China is very much aware of its position in the arena of global governance. China is happy to remain an active participant in global governance, as the United States continues to hold the leadership role. Despite being viewed by outsiders as a strict or oppressive system, the Chinese government has a very high approval rating amongst its own people. Governmental restrictions have not hindered or stifled the average Chinese citizen. If China remains constant in its efforts, their position as a global diplomatic player can only be expected to grow. Sadly, Freeman contends, instead of treating these initiatives as a compelling reason to get our own act together and reassert international leadership, the United States has reacted to them “peevishly, with carping comments and attempts to persuade others to boycott them because they don’t enforce the kinds of conditionalities we have traditionally favored,” he claims. Freeman asserts that China’s position in the world today should be a reminder of the purpose of politics, including diplomacy. As every diplomat knows, if you’re not at the table, you’re on the menu.